"wget -q -O - http://localhost:3000/|| exit 1"
Task health is reported by the healthStatus of the task, which is determined by the health of the essential containers in the task. 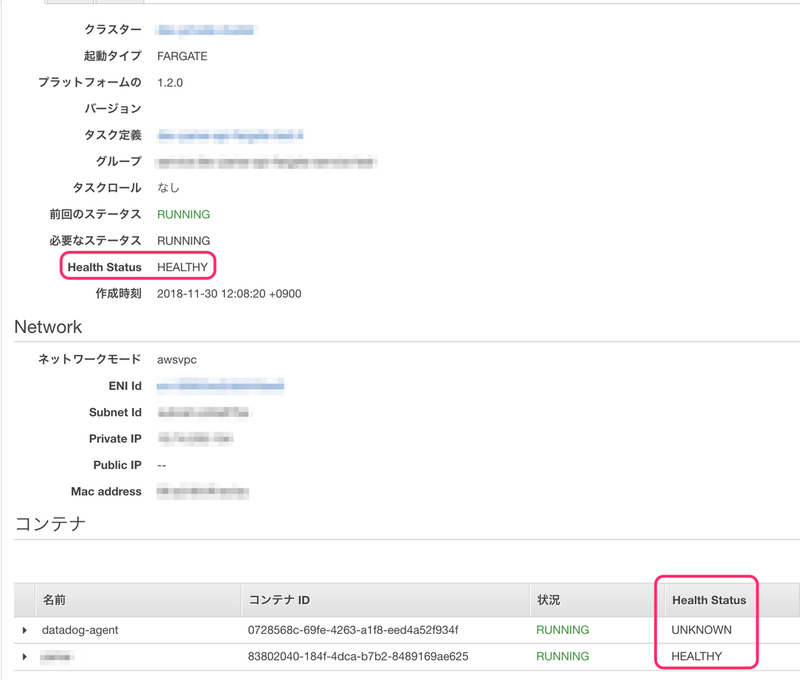 If all essential containers in the task are reporting as HEALTHY, then the task status also reports as HEALTHY. If any essential containers in the task are reporting as UNHEALTHY or UNKNOWN, then the task status also reports as UNHEALTHY or UNKNOWN, accordingly. 50.211.10.10.in-addr.arpa. 600  IN  PTR ip-10-10-211-50.ap-northeast-1.compute.internal.